Following the today’s massive application updates and the newer device launches, Apple has also launched the new iOS 5.1 update for the iPhone, iPad and iPod Touch users, and in addition to the reports, they have also unveiled the new upcoming Apple TV and announced that it would carry the new streamlined user interface, an improved interface then the older device that allows users to easily navigate between the content and applications on the Apple TV. However, it appears that Apple has decided not to leave the old Apple TV users in the darkness, and rolled out a new update to them with the feature of new user interface for them. Apple has just pushed out the Apple TV 5.0 firmware update to the users, with the addition of new user interface, and the ability to sync with new iTunes over the air, and the iCloud functionality. However, on the other side, the new Apple TV is said to be bringing an option of playing 1080p HD video content on the television screens, but we believe that Apple will never be going to provide the same ability to the older generation devices, and therefore, we believe that this update only carries few bug fixes and the new interface for your set-top boxes. 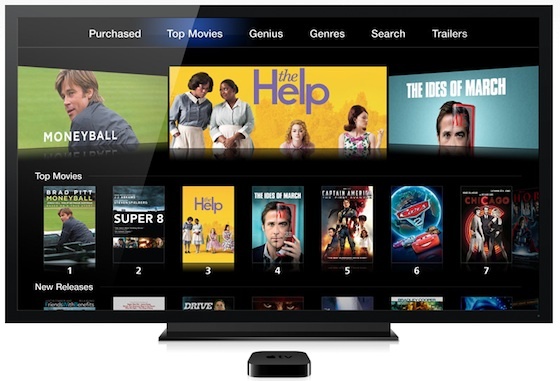 The new Apple TV user interface brings the new icon-based interface to your screen, and other smooth enhancements on overall the device, and provides you an option to directly access the Netflix billing right from their iTunes Store accounts.